So, to get myself feeling all Irish-y (I’m very much Italian, but there’s at least 40% Irish in here somewhere. ), I watch this movie with Cillian Murphy, called The Wind That Shakes the Barley. It’s really good. It’s on the Netflix Instant Queue if you want to watch it. It’s worth it. I know I’m a few days late, but I feel like sharing anyway. 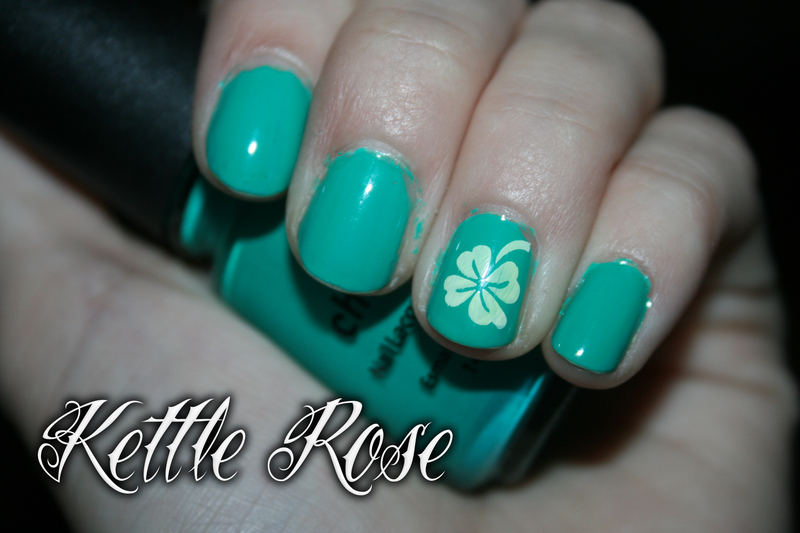 Here was my St. Patty’s manicure. Messy, messy. Someday I’ll get it right. 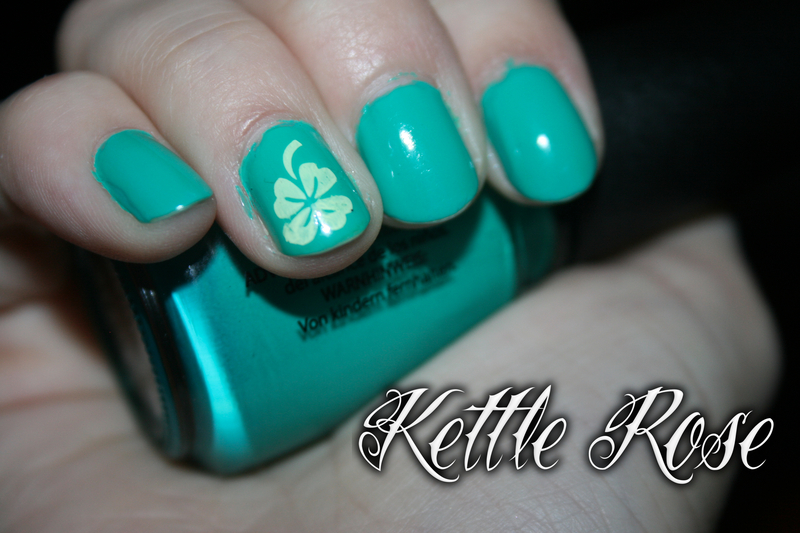 Anyway, this is China Glaze Four Leaf Clover, stamped with Bundle Monster plate M71 using Konad White. It was simple, and I don’t own any Kelly Green clothing so… this is how I got my green on. And this color is less blue. It is the color of a… four leaf clover. A little bit better, color-wise. Isn’t it strange how the super white Konad Special Polish turned a light green? I didn’t mean that, and I’m so glad it happened! It looks a lot better than the stark white that it was.